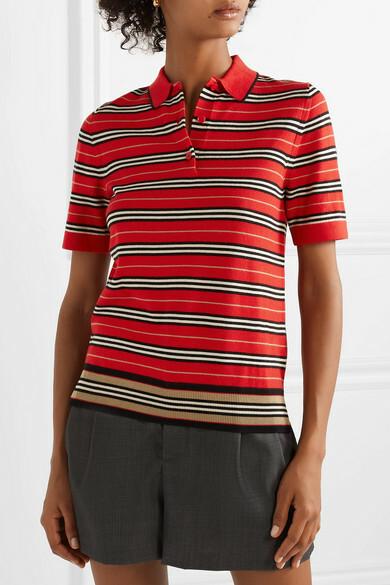 Polo shirts have been popping up on the runway more frequently as of late, and we love Burberry's take on the sporty style. 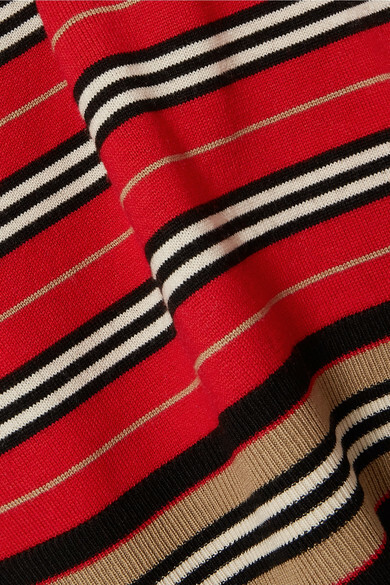 It's made from soft merino wool woven with neutral stripes and has a classic pointed collar and loose fit. 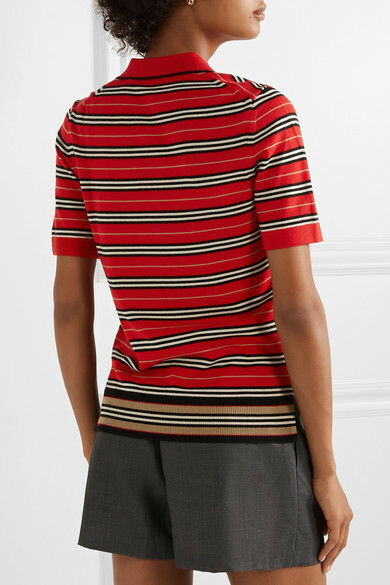 Wear it tucked into tailored shorts or cropped jeans. 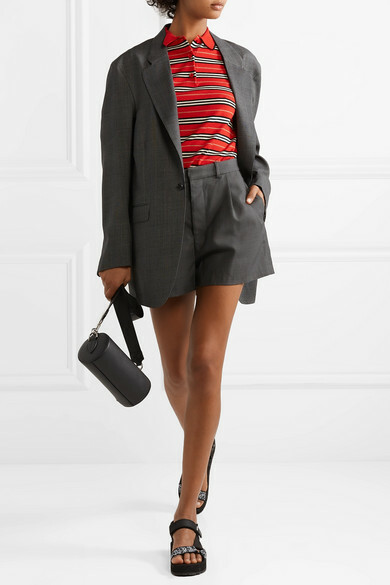 Shown here with: R13 Shorts, R13 Blazer, Burberry Shoulder bag, Prada Sandals, Sophie Buhai Earrings.